After Ananth Govind Rajan's Thesis Defense in December 2018. From L to R: Professor Daniel Blankschtein, Ananth Govind Rajan, Professor Michael Strano, Professor William Tisdale, Professor Gregory Rutledge. After Ananth Govind Rajan's Thesis Defense in December 2018. From L to R: Professor Daniel Blankschtein, Ananth Govind Rajan, Professor Michael Strano. After Ananth Govind Rajan's Thesis Defense in December 2018. From L to R: Professor Daniel Blankschtein, Ananth Govind Rajan, Mrs. Kowsalya Rajan (Ananth Govind Rajan's mother), Professor Michael Strano. After Ananth Govind Rajan's Thesis Defense in December 2018. Professor Daniel Blankschtein, Zhe (David) Yuan, Rahul Prasanna Misra, and Ananth Govind Rajan, with four other friends of Ananth Govind Rajan. 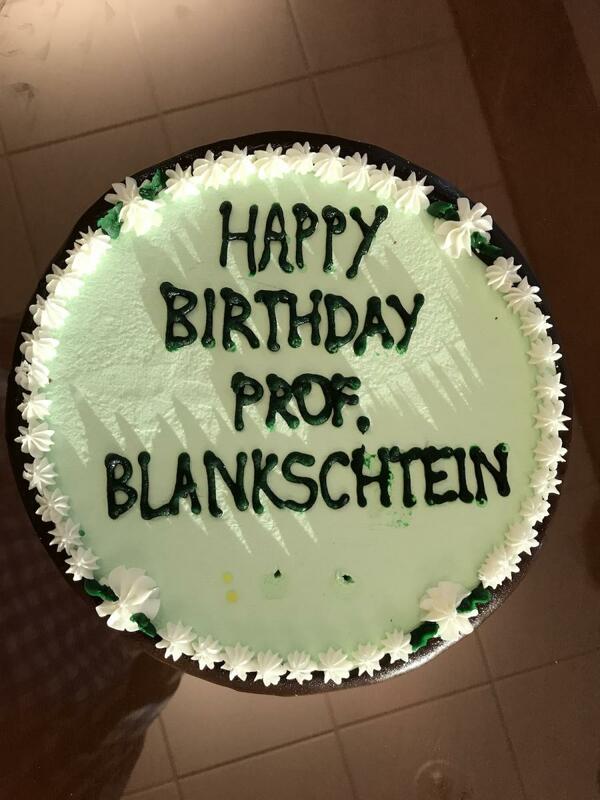 Celebrating Professor Daniel Blankschtein's 67th Birthday in December 2018. 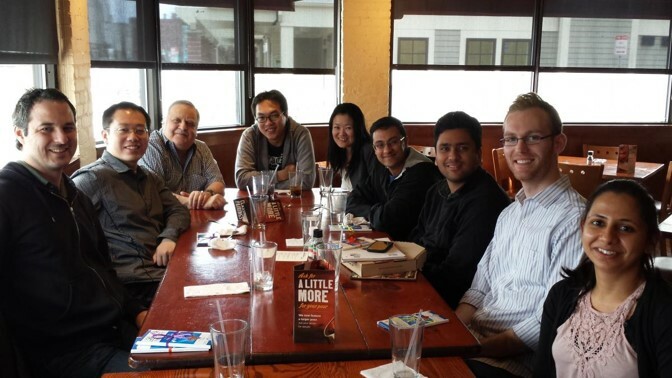 From L to R: Satish Kumar Iyemperumal, Ananth Govind Rajan, Vishnu Sresht, Cindy Welch, Zhe (David) Yuan, Rahul Prasanna Misra, Professor Daniel Blankschtein, Tzzy-Shyang Lin, Diviya Sinha, Dimitrios Fraggedakis, Annalisa Cardellini. 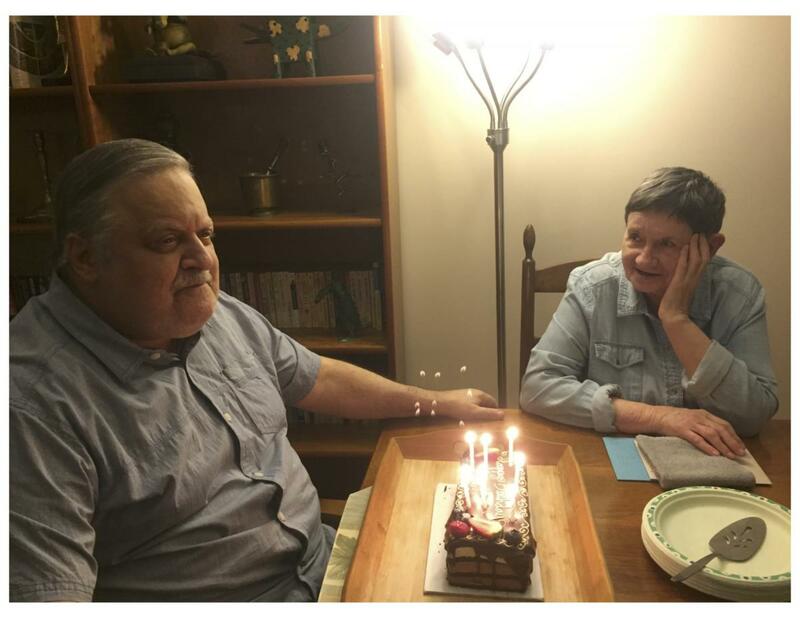 From L to R: Professor Daniel Blankschtein and his wife, Mrs. Anna Blankschtein, during Professor Blankschtein's 66th birthday celebration on December 1, 2017. From L to R: Professor Patrick Doyle, Dr. Paul Bisso, and Professor Daniel Blankschtein, following Dr. Bisso's doctoral thesis defense on September 1, 2017. From L to R: Rahul, Annalisa, and Ananth, following Rahul's presentation on "Modeling Seawater Desalination through Nanoporous Graphene" at the Clean Water Center, Politecnico di Torino, Italy. 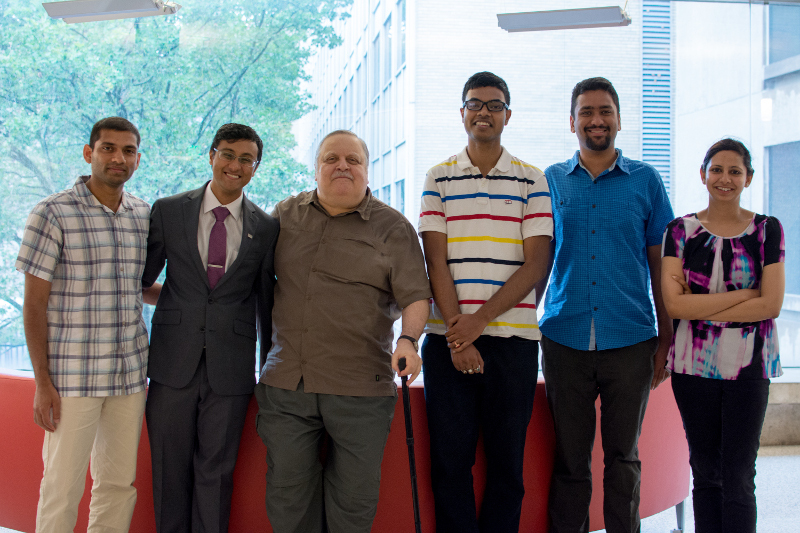 Ananth (leftmost) and Rahul (rightmost), along with four graduate students in Professor Alberto Striolo's research group, at the University College London, U.K., following their presentations to Professor Striolo's research group. Rahul (left) and Ananth (right) visiting the Tower Bridge in London, during their visit to London. From L to R: Ananth and Rahul in front of the Sacre Coeur Cathedral during their visit to Paris to present their research at the Nanotech France 2017 conference. From L to R: Rahul and Ananth in front of the famous painting of the Mona Lisa at the Louvre Museum during their visit to Paris to present their research at the Nanotech France 2017 conference. Portait of Professor Daniel Blankschtein. 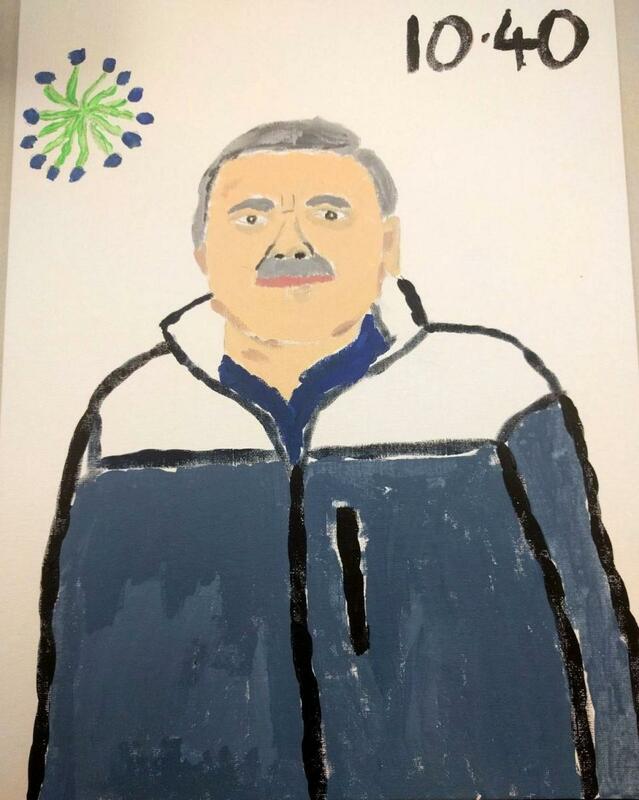 Painted by a young budding artist and graduate student Ananth Govind Rajan in January 2017. After the last lecture in 10.40, "Chemical Engineering Thermodynamics", taught by Professor Daniel Blankschtein, photo taken in December 2016. 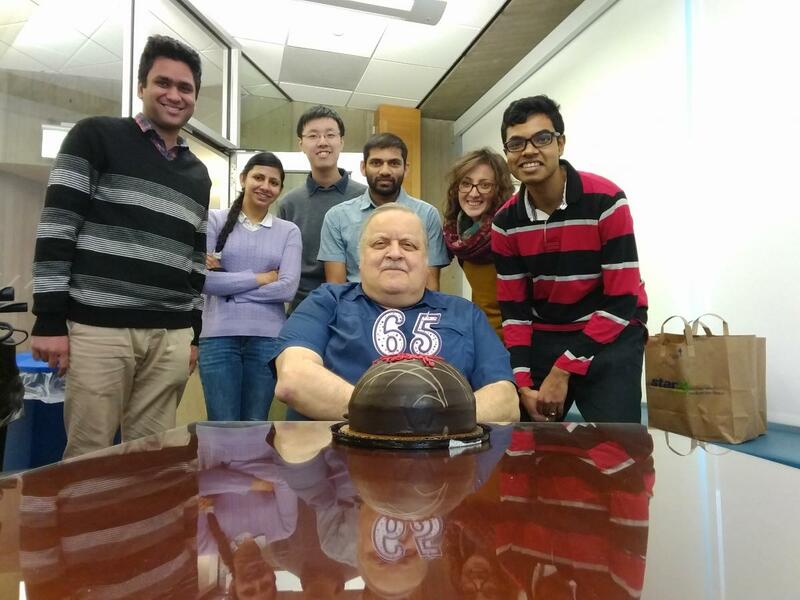 Celebrating Professor Daniel Blankschtein's 65th Birthday in December 2016. From L to R: Ananth Govind Rajan, Diviya Sinha, Zhe (David) Yuan, Professor Daniel Blankschtein, Hari Katepalli, Annalisa Cardellini, Rahul Prasanna Misra. Professor Daniel Blankschtein with collaborator Professor Evelyn Wang after her student Jeremy Cho's thesis defense in December 2016. 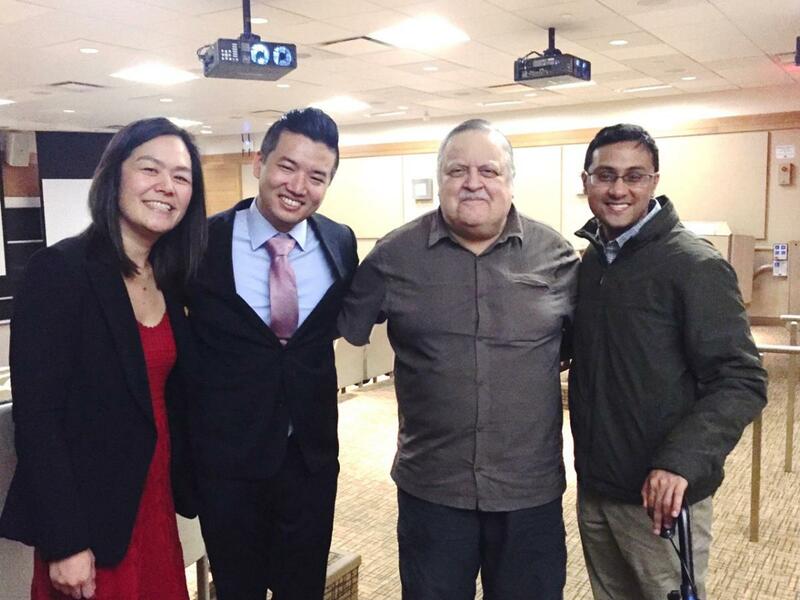 From L to R: Professor Evelyn Wang, Jeremy Cho, Professor Daniel Blankschtein, Vishnu Sresht. After Vishnu Sresht's thesis defense in August 2016. From L to R: Hari Katepalli, Vishnu Sresht, Professor Daniel Blankschtein, Rahul Prasanna Misra, Ananth Govind Rajan, Diviya Sinha. Professor Agilio Padua's farewell dinner in June 2015. From L to R: Rahul Prasanna Misra, Ananth Govind Rajan, Professor Daniel Blankschtein, Professor Margarida Costa Gomes, Professor Agilio Padua, Hari Katepalli. 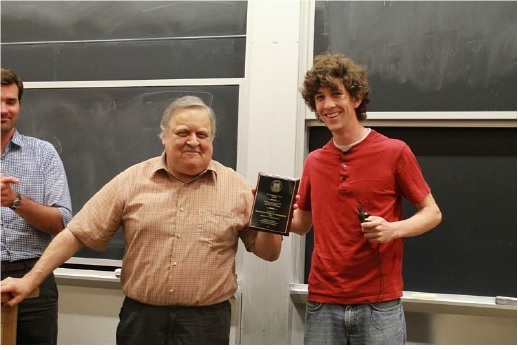 Professor Daniel Blankschtein being awarded the "Outstanding Faculty Award, Department of Chemical Engineering, MIT, for the year 2014" in May 2015. After Carl Schoellhammer's thesis defense in April 2015. From L to R: Joao Franca (France), Andreas Reichmuth, Vishnu Sresht, Professor Daniel Blankschtein, Hari Katepalli, Matthias Oberli, Carl Schoellhammer, Diviya Sinha, Professor Agilio Padua, Emilie Bordes (France). After Chih-Jen Shih's thesis defense in March 2014. From L to R: Matthias Oberli, Shangchao Lin, Professor Daniel Blankschtein, Chih-Jen Shih, Chih-Jen's wife, Vishnu Sresht, Ananth Govind Rajan, Carl Schoellhammer, Diviya Sinha. After Jaisree Iyer's thesis defense in 2013. 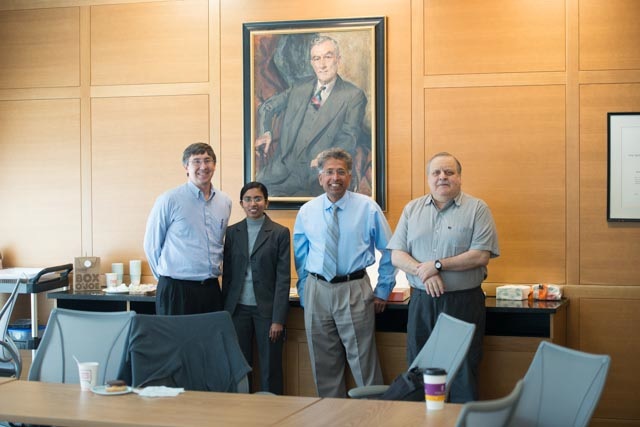 From L to R: Professor William Green, Jaisree Iyer, Dr. Ramanathan Nagarajan, Professor Daniel Blankschtein. After Jennifer Seto's thesis defense in 2011. 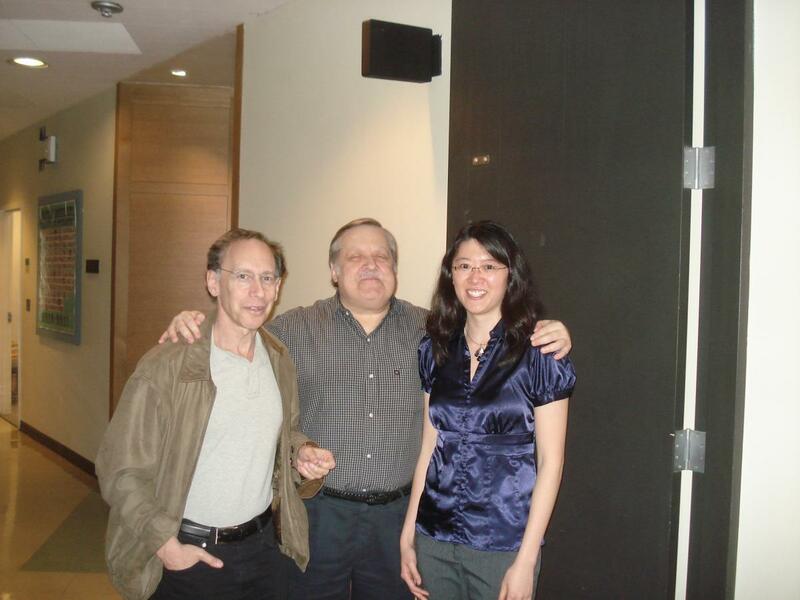 From L to R: Professor Robert Langer, Professor Daniel Blankschtein, Jennifer Seto.